Why would I need self storage in Springfield, VA? There are a variety of reasons why you might need self-storage in Springfield, VA.
How much is a storage unit in Springfield, VA? The cheapest storage unit in Springfield, VA is $22.00 per month. What size storage units do you have available in Springfield, VA? In Springfield, VA we have sizes that range from 3'x3' to 15'x30' to suit your storage needs. How much is it for a 3'x3' storage unit in Springfield, VA? The cheapest 3'x3' storage unit in Springfield, VA is $22.00 per month. Located just 15 miles southwest of Washington, D.C., Springfield is a vibrant and diverse community in Virginia's Fairfax County. Thanks to numerous connections via rail and road, it's easy to travel between Springfield and major cities like D.C. Springfield also boasts numerous industries, retailers and other businesses, along with natural attractions like Lake Accotink and the Hidden Pond Nature Center. Like many communities in northern Virginia, the Springfield community was originally settled in the 17th century. Through the mid-19th century, it functioned as a fairly quiet agricultural area with a few mills. It wasn't until the Orange and Alexandria Railroad established a station at Springfield in 1854 that the population began to increase at a steady rate, attracting business development. In the late 1940s, the area was subdivided and apportioned for suburban development, which helped fuel major growth. In 1950, Springfield was home to around 1,000 people, but its population had multiplied to more than 10,000 by 1960. As more people moved to the area, Springfield also attracted major retail developments. By the 1970s and '80s, it had established itself as a favorite shopping destination for people all over the region. Because the Springfield area enjoys such a convenient and central location, the community has extensive office space and numerous large employers. 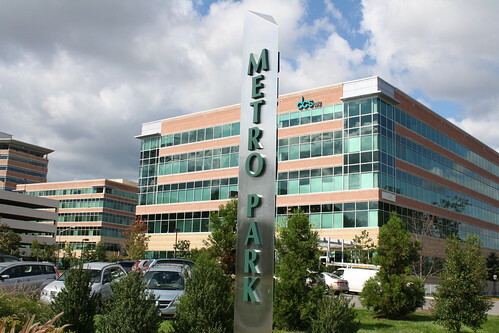 Aeronautics company Boeing, publishers Gannett and the Washington Post, utility company Washington Gas, analytics company Calibre Systems and Fairfax County Government are among Springfield's largest employers. The city's diverse economy provides a wide range of job options in many different industries, which is good news if you're planning on joining the local job market. Major industries in the area include professional and business services, government, education and health services, and trade and transportation. Schools in Springfield are part of Fairfax County Public Schools. There are also several private schools in the area, providing options for both secular and faith-based education. Utilities: Springfield's major utilities providers are Dominion Energy, Washington Gas and Fairfax Water. Garbage and Recycling: Fairfax County provides curbside collection services for both trash and recycling. Transportation: Regional transportation options include the Fairfax Connector and the Washington Metro Area Transit Authority's bus and rail lines. Springfield is located at the intersection of interstates 95, 395 and 495, which means you can access Washington, D.C., and communities throughout northern Virginia relatively easily, no matter which part of the city you live in. High-density apartments and condominiums are typically located around the Springfield Town Center and Franconia Road areas, while larger homes in a more suburban setting can be found near the Brookfield Park and Byron Avenue Park areas. Our lowest priced units in Springfield, VA average $71.85 per month. 971 people have reserved units in Springfield, VA in the past 30 days. There are 20 locations within Springfield, VA's city limits. There are 13 locations in Springfield, VA that offer AC and Heating features.